Derek Barnett is still only 22 years old. He's already good, and will continue to get better. Derek Barnett's second season with the Philadelphia Eagles in 2018 ended after he appeared in just six games. In the Birds' loss to the Titans Week 4, Barnett injured his shoulder, and he missed the next game, another loss to the Vikings. He returned to the field, attempting to play through pain the next two weeks against the Giants and Panthers, but was eventually shut down for the season with what was revealed to be a torn rotator cuff. 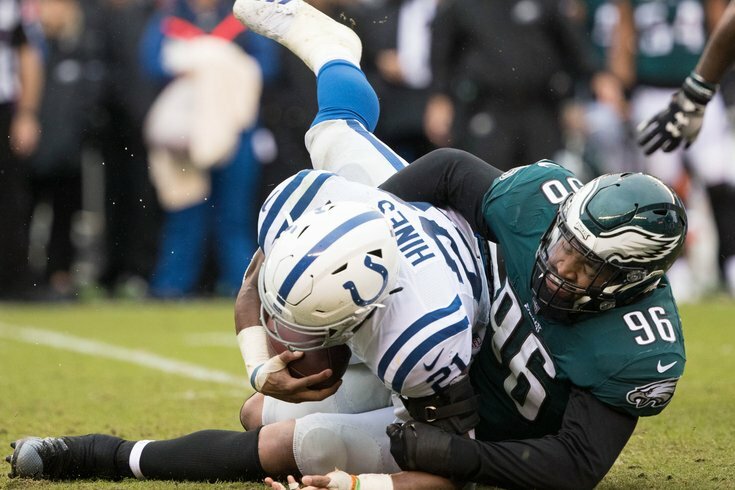 When the Eagles traded Michael Bennett this offseason, most observers rightfully pointed out that Bennett was the team's most productive edge rusher in 2018, as he had 9 sacks, 15 tackles for loss, and an impressive 30 hits on the quarterback. With Barnett coming back as the starter at RDE in 2019, many consider that to be a downgrade from Bennett. "He started out lights out last year," Doug Pederson said of Barnett at the owners meetings last week. "He was playing well. He was one of our top edge rushers last year. He doesn’t necessarily have to prove anything to us. He just has to be Derek, and he’ll play." Barnett is going to turn 23 in June. He's younger than some players who will be drafted at the end of the month. He's already a legitimate starting DE in the NFL, and he's only going to get better.